The Range Rover Velar has turned heads and won awards for being achingly pretty and smartly suave. 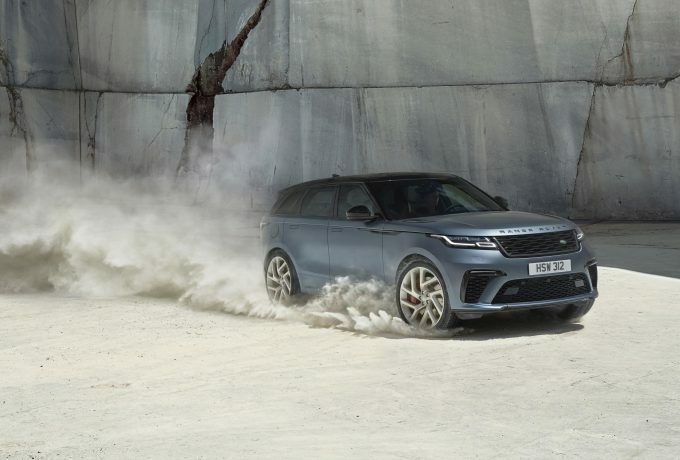 But that’s changed a little bit with the introduction of the new SVAutobiography Dynamic Edition, that comes with five-litres V8 beneath the sleek bonnet. 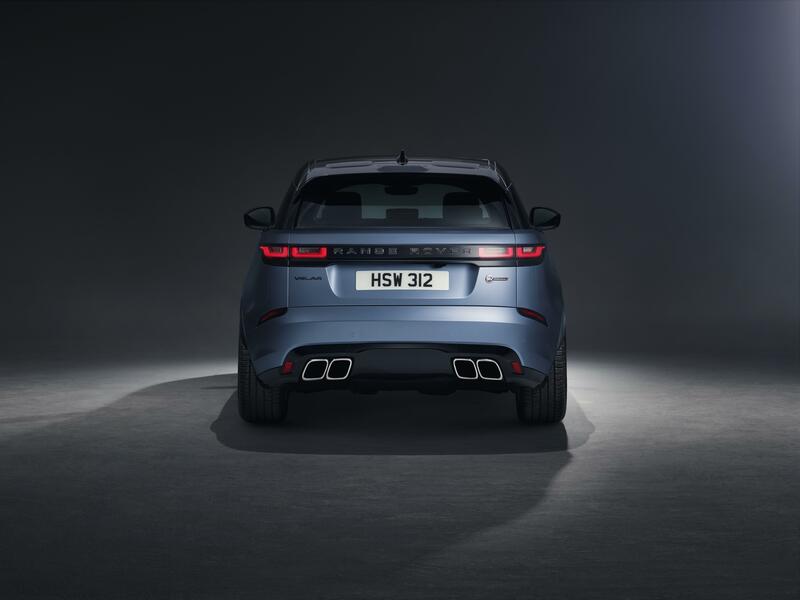 That big supercharged heart beats out 542bhp and propels the Velar from stationary to sixty in 4.3-seconds and will reach its terminal velocity at 170mph. 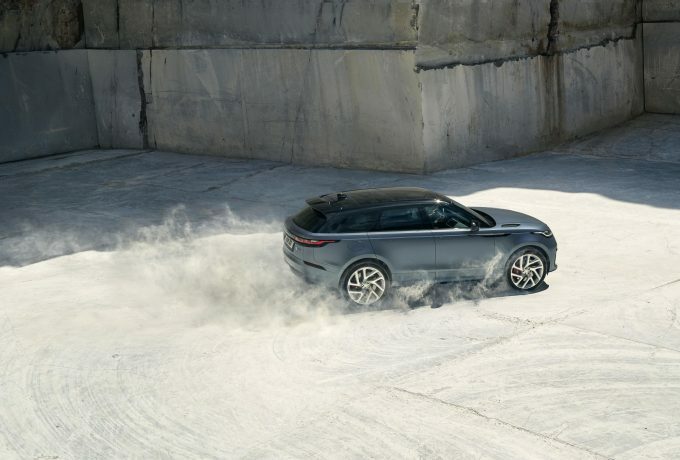 To cope with the uncouth power, the Velar has been equipped with uprated brakes and suspension, alongside bespoke calibration for everything from the powertrain to the safety systems, to marry up the injection of the performance with the smooth and cosseting ride synonymous with the Range Rover nameplate. 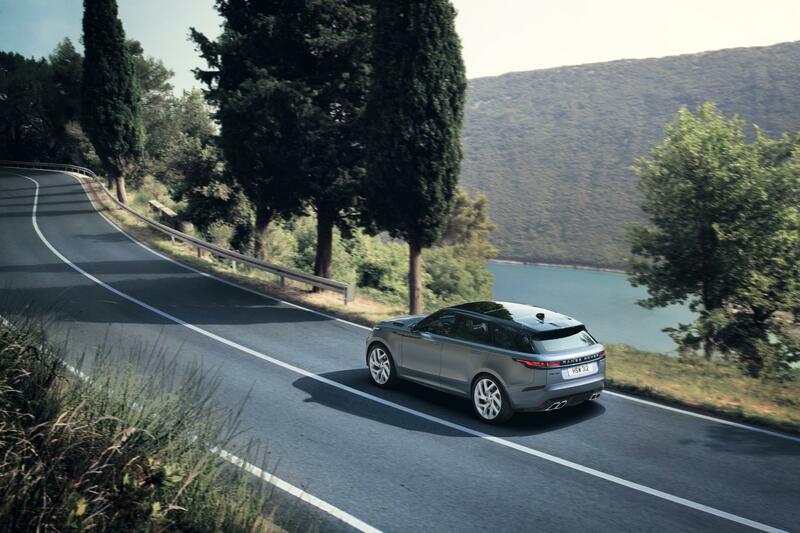 There is also a transmission tunnel undertray to improve aerodynamics of the vehicle. 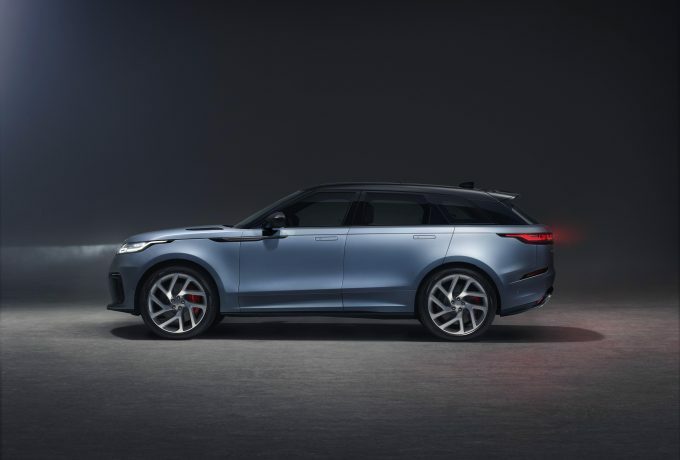 A project brought to fruition by the JLR SVO team, there are several visual clues that distinguish the Dynamic Edition from its siblings – just in case the V8 soundtrack gets missed. These include a revised front bumper with bigger air intakes to cool the braking system along with feeding the engine. 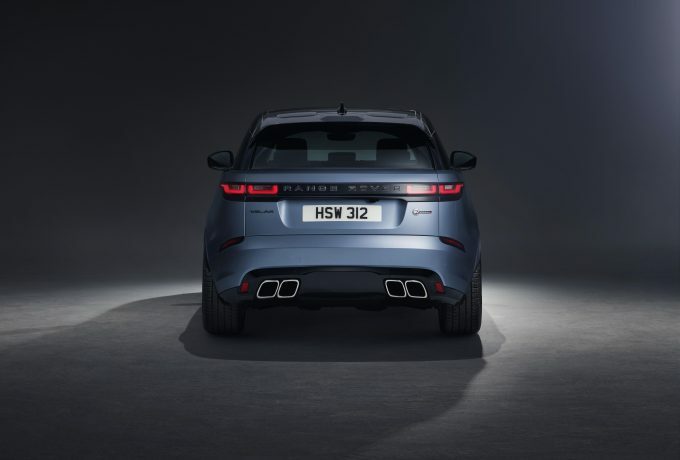 A new grille and lower side mouldings add distinction to the Velar and the rear bumper has been revised to accommodate the rather sizeable quad exhaust pipes. On that topic, the custom sports exhaust system is 7.1kg lighter than the standard pipes. At each corner of the Dynamic Edition you’ll find lightweight 21-inch alloys, with those at the front paired with 395mm brake discs and the rears a mm larger. 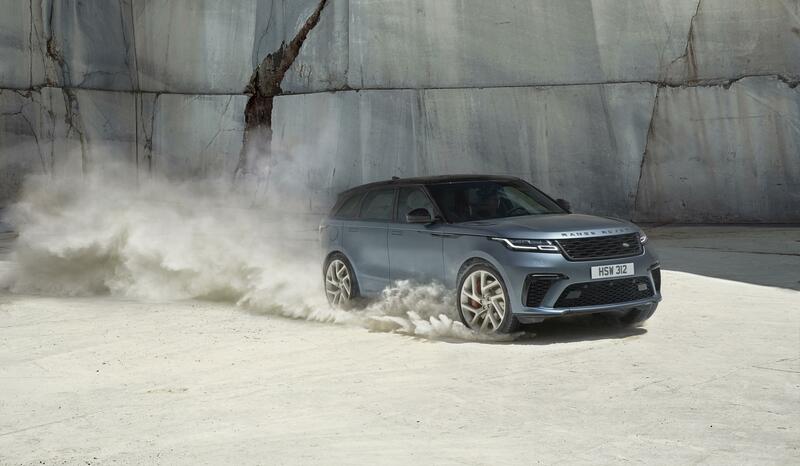 The calipers are four-piston variants at the front and sliding calipers at the rear, all of which are painted red and are emblazoned with the words ‘LAND ROVER‘. 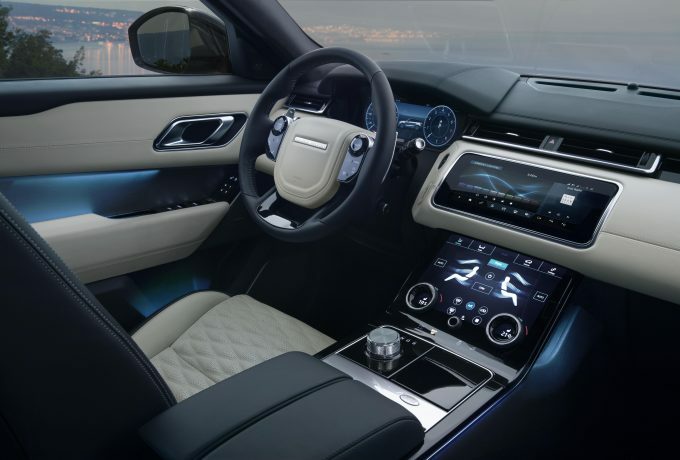 Interior enhancements have also been bestowed upon the Dynamic Edition, as it is still a SVAutobiography model, and must behave as so. There’s no centre tape on the steering wheel, nor carbon fibre bucket seats. Twin-stitched quilted Windsor leather adorns the seating – which in the front is 20-way adjustable and both heated and cooled – a textile unique to this model. The colour options for the leather are Ebony, Cirrus, Vintage Tan and Pimento. Oh, they also have massage functionality as standard. Drivers will steer the vessel with a unique sports steering wheel, which has a contoured rim and aluminium shift paddles. An optional carbon fibre pack will add sporty snippets of the lightweight material. 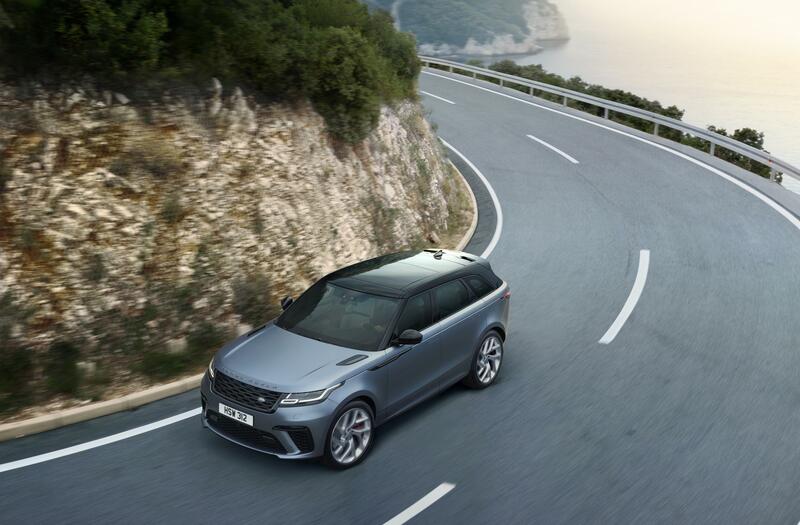 Available in six exterior colours (Firenze Red, Santorini Black, Corris Grey, Fuji White, Indus Silver and by special order Satin Byron Blue), all of which come with a contrasting black roof as standard. 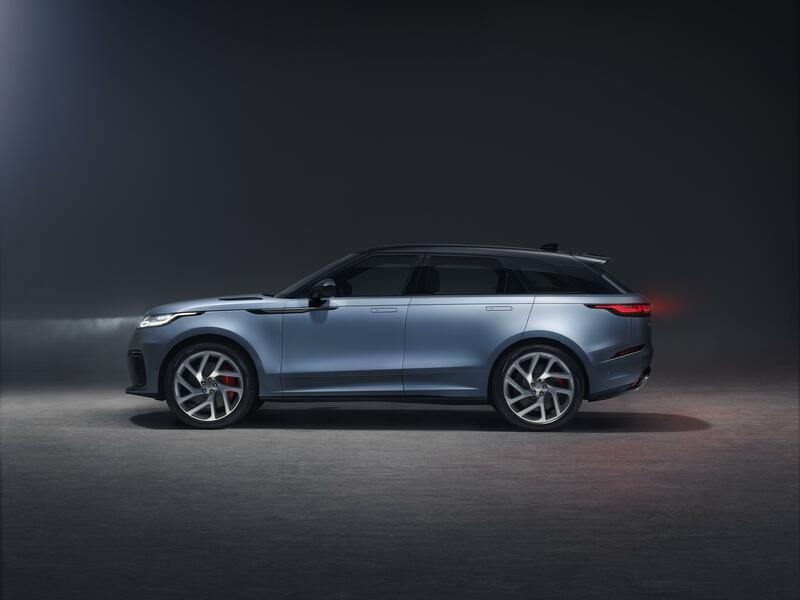 The SVAutobiography Dynamic Edition Velar costs from £86,120 on the road in the UK – and will only be on sale for a single year.